Another way Fitness InSight will make "this time" different in your fitness and weight loss efforts! Your metabolism is as unique as your fingerprint. Why would you want a cookie-cutter diet or exercise routine when there is affordable, cutting-edge technology that can personalize your efforts? Metabolic fitness technology isn't new, but until recently it was only available in professional or Olympic athletic training centers and laboratory settings. Now that accurate portable equipment is available, it's the hottest new technology in fitness. Fitness InSight is among the first to offer this service in the Washington Metropolitan Area! How do you know what the right intensity is for your cardio workout? Standard heart rate charts can be inaccurate for some individuals. We'll measure how many calories you burn at every heart rate level, as well as how many of those calories are fat vs. carbohydrate at every level. Based on that information, we'll recommend the exercise intensity that is right for your goals and your unique metabolic response to exercise. Your VO2max and "Anaerobic Threshold"
Get used to this fitness lingo, as they represent the best indicators of your cardiovascular fitness level - the size of your engine and how much of that engine you can tap into on a sustained basis! You'll have powerful information to personalize your workouts for maximum results and as a basis for comparison as you improve! Anyone who has ever wondered about his or her metabolic rate. Above is a sample of the graph generated with the Resting Metabolic Rate Test. The large straight horizontal band shows the RMR predicted for this client with standard formulas. The thin red line moving up and down is her actual metabolic rate measurement. You can see that her actual RMR is much slower than predicted. Above is a sample of a graph generated with the Metabolic Response to Exercise Test. The stars represent calories burned at each heart rate level. The circles represent fat burned at each heart rate level. Do you see how fat sharply decreases at the "AT" point? We prescribed three exercise zones for this client. Zone 1 for occasional lower intensity workouts when maximum fat is burned, but less total calories per minute, Zone 2 for maximum calorie burn with still significant fat usage, and zone 3 for occasional interval workouts. "Frustrated. That?s how I felt before I met Cathy. I was frustrated because I gained a total of 15 pounds despite training for marathons, and frustrated that I couldn?t get any faster. Metabolism/exercise testing with Cathy changed all that around. "Cathy was right when she said that my metabolism is as unique as my fingerprint and that I shouldn?t forced my training and diet into a cookie-cutter plan found on posters in health clubs and in fitness magazines. The results from the resting metabolic rate and the metabolic response to exercise tests along with suggestions from Cathy for changes to my eating and training regimen, have made a huge difference. The key for me was learning at what heart rate I burned the most fat calories and the heart rate that led to the most improvement in aerobic and anaerobic conditioning. "In 5 months since the testing, I?ve lost 15 pounds and achieved a 28 minute PR in the Cleveland Marathon this spring. I owe much of my success to the custom training and eating plans Cathy helped designed for me. Thank you Cathy!" Download Your Free Copy of "Make the Most of Your Metabolism"
You may choose to do one or both tests. Each test takes approximately 15 minutes, although you should allow additional time for preparation before the test and your results consultation after the test. Total time for both tests combined, including preparation and consultation will be 60-75 minutes. You will remain comfortably seated in a reclined position during the test. A mask will be placed over your mouth and nose. It is then connected to the metabolic analyzer by a hose that will measure the oxygen and carbon dioxide you are breathing out. You just sit back and breathe. The analyzer will indicate when the test is finished - anywhere from 10-15 minutes. The more relaxed and even your breathing, the quicker it will be able to determine your resting metabolic rate. You will receive a print out of your personalized results and a detailed consultation. You will wear a heart rate strap around your torso, just below your chest. 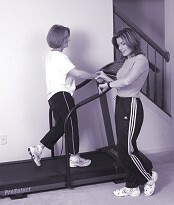 Together, we will determine the appropriate exercise test protocol for you (i.e. walking or jogging and at what speeds). A mask will be placed over your mouth and nose and connected by a hose to the metabolic analyzer. You will breathe normally through the mask for the duration of the test. Once the test is terminated, you will walk a little longer at a relaxed pace to cool down. Interested? Click here to Get Started or here to Find Out More! Resting metabolic rate is the amount of calories your body would burn if you simply sat in a chair all day. It accounts for up to 80% of the calories you burn each day - more than exercise and daily activity combined. Therefore, RMR has a huge impact on weight loss efforts and should not be ignored. Rather, it should be maximized! RMR is unique to each person and is based on a number of factors, including genetics, body weight, diet and activity history, and the amount of muscle on the body. It's an important number to know if you are trying to lose weight, and especially if you have been struggling with your weight for years and "nothing" seems to work. Most people are familiar with the theory of balancing calories-in with calories-out, but our culture focuses primarily on "calories-in". It's quite common for people to count calories, or "points", or otherwise track food intake. Why is it that we have ignored the other half of the metabolic equation? You may hear someone say, "He has a really fast metabolism", or "I don't eat much at all and I can't lose weight so I must really have a slow metabolism". You wouldn't dream of balancing your checkbook by only tracking the money you put into your account. Why do we assume we can balance our metabolic equation with only half of the information? Why Haven't We Measured RMR Until Now? We've largely ignored "the other half of the equation" because until recently, the only way to measure RMR was by using an expensive and cumbersome "metabolic cart" - a very specialized piece of equipment that is only found in hospital and research settings. Its use was confined primarily to hospital patients whose care depended upon it and testing was not available to the general public. When "calories-out" has been addressed in the general public/weight loss arena, it has generally been limited to the only other option available: formulas that estimate RMR. The reliability of these calculations is limited because they rely solely on body weight and estimated activity level, with no regard to the impact of muscle, genetics, past dieting attempts, etc, with the final results off by as much as 1000 calories per day for some individuals! Fortunately, we no longer have to make guesses or assumptions. With the advent of portable, affordable metabolic testing equipment, we can now accurately measure the amount of calories your body burns each day at rest. When you know how many calories your body burns each day at rest, you can more accurately decide how many calories to consume each day to reach your goals, whether they are to gain weight, lose weight, or maintain your weight. RMR changes based on a number of factors, including changes in weight, body composition, dieting attempts, gains and losses in muscle mass, and in response to aerobic and weight training exercise. This means that it can be valuable to re-check your resting metabolic rate over time, especially after significant changes in your habits or your body. With on-going monitoring, you can be sure that your eating and exercise habits are always right on target. What about Metabolic Exercise Testing? Testing your Metabolic Response to Exercise takes the guesswork out of how hard you need to work out to achieve your desired results, whether your goal is weight loss or running a faster 10K. Until fairly recently, this kind of scientific testing was only available to elite athletes. Fitness InSight's state-of-the-art metabolic testing equipment will give you personalized results that will enable you to make the most out of your workouts. This test measures the amount of oxygen your body uses and the amount of carbon dioxide your body produces at different levels of exercise. This is done as you breathe through a mask and wear a heart rate monitor during a short workout that includes multiple levels of exertion. Specialized software will track how your heart rate responds to the metabolic markers of oxygen consumption, carbon dioxide production, as well as the ratio of carbohydrate and fat utilization for fuel. You will receive individualized heart rate training recommendations based on what's really happening in your body. This information is sure to increase your motivation to workout as your routine is more results-oriented and your progress will be more measurable. VO2 max is the maximal capacity of your cardiovascular system. It is one important marker of your cardiovascular fitness level. It's like the "size of your engine". The higher your VO2 max, the bigger your engine and the larger your capacity is for hard physical exertion. Your heart is stronger and more efficient when you have a high VO2 max. Anaerobic Threshold (AT) is usually expressed as a percent of VO2 max and is another important marker of your cardiovascular fitness level, although it is often overlooked. VO2 max may be the "size of your engine", but AT is how much of that engine you can tap into for a sustained period of time. It represents the point during incremental exercise, beyond which your body can no longer supply enough oxygen for the workout, there is a buildup of waste (lactic acid) in the bloodstream, and fat utilization drops dramatically. It is interesting to note that the percent of VO2 max at which AT occurs can vary widely - for the average person, it can occur as low as 50-60% of VO2 max, yet for highly-trained athletes, AT can occur as high as 95% of VO2 max. Knowing your AT is an important key to developing accurate heart rate training zones for aerobic exercise. Once you know your AT (and your heart rate at AT), we may decide to have you concentrate on training just below that point, so that you can burn the most fat and gain maximum benefits before fatigue sets in. On the other hand, there are methods we can employ that will help you increase your AT. Remember that range of 50-95% of VO2 max when AT can occur? By using interval training above and below AT, you can improve your tolerance for hard work and the build up of lactic acid. In this way, you'll be able to burn more fat and calories for a sustained period and dramatically improve your fitness level. Calories, fat, and carbohydrate burned per minute will be measured at each stage of exercise along with your heart rate. When you begin exercising at a leisurely pace, the total calories burned per minute are relatively low. 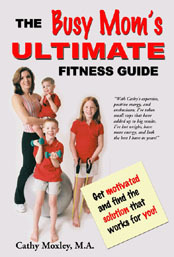 As the exercise intensity increases, the calories burned per minute will also increase. The computer program will show the calories per minute that you burn at each heart rate level as well as the ratio of fat and carbohydrate used. In most people, there is a certain point in progressive exercise when the fat-burning level drops dramatically. We will be able to pinpoint your heart rate at which this occurs and then compare it to the total calories burned at each heart rate level to recommend your individualized heart rate training zone that will maximize both calories and fat usage for you. Once we know the heart rate zone during which you are burning the most fat and calories, and the heart rate at which you reach AT, the next logical step is to monitor your heart rate when you regularly exercise. Based on your needs and interests, you will receive a customized target heart rate training zone for all of your cardiovascular workouts. In addition, you may choose to receive a detailed 6-12 week training protocol that will lead you through workouts at different levels based on your test results and goals. Wearing a heart rate monitor during exercise will allow you to continuously monitor your heart rate level while you work out and allow you to adjust your intensity accordingly. What about Heart Rate Charts? Heart rate charts have long been hanging in health clubs to recommend target heart rate ranges for aerobic exercise. These charts are based on estimates that approximate maximum heart rate to be 220-age. They recommend that you exercise within a heart rate range of 60-80% of your estimated maximal heart rate. Unfortunately, research shows that 220-age and the resulting target heart rate zones can be less than accurate for many individuals. With metabolic exercise testing, we can provide you with accurate, individualized information regarding how hard you should exercise to meet your goals. The metabolism testing equipment and technology used by Fitness InSight is provided by New Leaf Health and Fitness, a division of Angeion Corporation. Angeion Corporation, through its Medical Graphics (MedGraphics) subsidiary, has been a worldwide innovator in resting and exercise metabolic measurement for over 25 years. MedGraphics is a leading provider of metabolic measurement systems in clinical, research, and human performance laboratories in nearly 70 countries throughout the world. In 2000, the New Leaf product line was developed to bring scientific tools and programs to the health and fitness field. 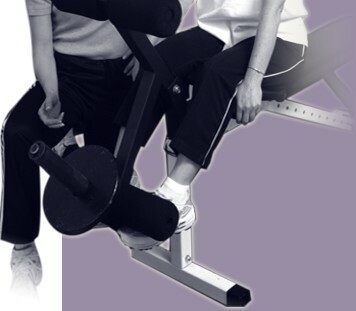 You can find out more about the New Leaf system at http://www.newleaffitness.com. Test interpretation and individualized recommendations from an exercise physiologist who specializes in metabolic physiology. A Bonus Guide: "Seven Keys to Jump Start Your Metabolism"
In addition, for hygienic purposes, you will need to make a one-time purchase of a testing mask at the wholesale cost of $40. You will keep this mask for all future tests.